For those of you not in the know, Wine Blogging Wednesday was started a while back by Lenn Thompson at the New York Cork Report. It is hosted by a blogger who picks a theme that other bloggers around the country take part in. This month Tim Elliot of Winecast is hosting. The theme that Tim chose was Value Sparkling Wine. The requirement; It had to be a sparkling wine under $25. When I first read about WBW#74 I thought it would be a challenge. Most of the sparkling wines on Long Island are well above the $25 limit. So I needed to do some research. I was going to go off island and go for something different. I am a huge Farmer Fizz fan and I wanted to see if one could fit into the WBW#74 rules. Then I remembered this bottle that I stumbled upon at Empire State Cellars when they first opened. They were pouring it at the Cellar on their opening day. I also stumbled upon this sparkling wine around New Years and picked up some upon recommendation from one of my favorite wine store dudes, Art at Gram Wine in Middle Island. We had it on New Years Eve and Day as well as a few weeks later at Melissa’s family Christmas in Pennsylvania. Everywhere I poured it, it was a hit. So this month, I finally recorded my notes and present to you one of my favorite sparkling wines right now. 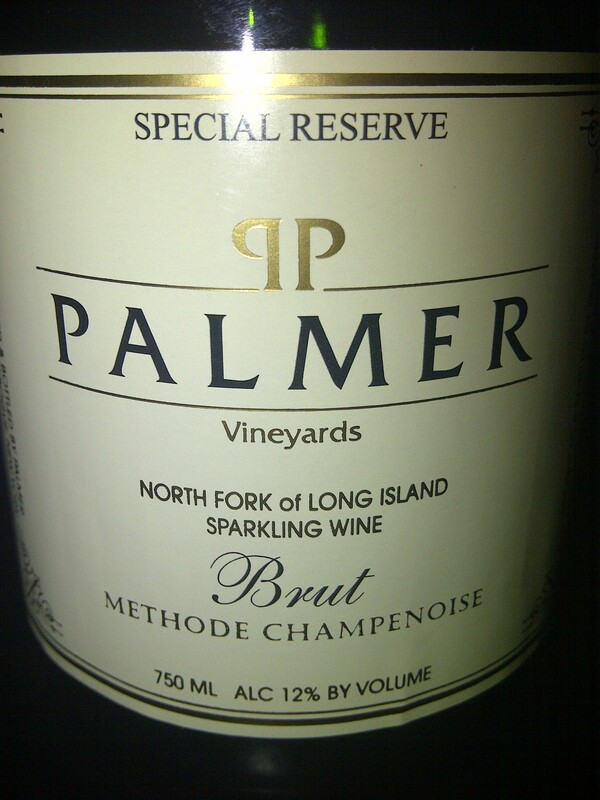 Palmer Vineyards NV Special Reserve Brut ($20) Made in the méthode champenoise style of 100% chardonnay. Palmer Vineyards, located in Aquebogue, winemaker Miguel Martin, made a very delicious and affordable sparkling wine. The nose brings apple, pear, a hint of tropical citrus and croissant aromas. It is almost cider like with notes of pralines. The palate offers some tart apple, baking spice, mineral and bread. Yeasty and beady this is defiantly a sparkling in my wheelhouse. The finish is long with notes of nuts and sourdough bread. It shows great balance with palate cleansing acidity and a lush mouth feel. There is a hint of sweetness, which I think could be brought on by the dosage. This sparkling was a great find. I was able to find it in a number of wine shops somewhere between $14.99 and $17.99. Even if you pay the $20, you are still getting great value from this sparkling that might fall under the radar. 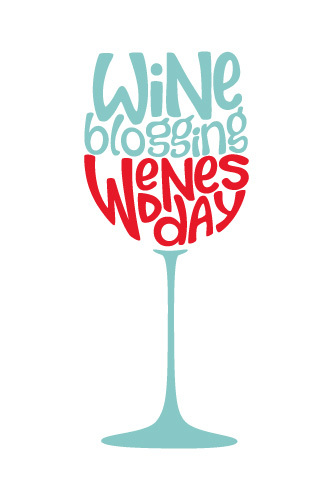 Special thanks to Tim for hosting, Lenn for inventing the idea of Wine Blogging Wednesday, and those of you who continue to keep it afloat. This entry was posted in Chardonnay, Long Island, Sparkling Wine, Wine Blogging Wednesday. Bookmark the permalink. Awesome sparkler. Miguel is such an awesome wine maker. Reading this post I forgot to ask him how he was able to make such a delicious bubbly at only 15 bucks, its just ridiculous. Cheers! Thanks for reading and posting a comment. Too bad you won’t get to see it. There are issues with some places listing sparkling wine as Champagne. We don’t have issues with methode champenoise on the label but when I do see it, I know it was done with care! Thanks for taking the time to read and post. Could not agree with you more about Miguel. Such a great question. The next time I see him, I will be sure to ask.